Naples Manor Lakes Naples Manor Homes: Truly an incredible opportunity to own a quality built home overlooking a lake offering 5 bedrooms and 3 bathrooms and close to 2400 square feet! That puts this properties price per square foot under $200.00 which is an exceptional price for this location and view of a lake with gives off a very nice feeling of island breeze as you enjoy family time in your backyard in your gazebo/built entertainment area. The kitchen is a chefs dream as you have plenty of space to cook for 20+ people with all the beautiful black granite countertop space. Brand new never used stainless steel Samsung kitchen appliances, with a brand new washer and dryer. Make your appointment to see this magnificent home in Southwest Florida today, because it will not last at this price! Naples Manor Homes: Charming single family concrete block home. With 3 bedrooms and 2 bathrooms this home makes a great starter home or as an investment for rentals. Open kitchen-living floor plan, large fenced back yard and carport. Close to shopping, restaurants and beaches. 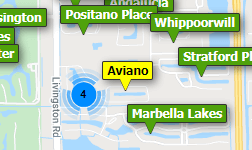 Naples Manor Homes: Located just minutes from downtown 5th Avenue and just minutes from the beaches. This lovely 3 bedroom home has tile all throughout the home with some nice upgraded features, New A/C 2017 all new kitchen stainless steel appliances in 2017. Don't miss your chance to purchase a home that has ZERO HOA dues! Naples Manor Homes: NEWLY RENOVATED HOME!!! This is a 3bed plus a den & 2bath with beautiful new kitchen cabinets and granite counter tops... Stainless steel appliances. This home has tile flooring throughout. This home has renovated bathrooms, new A/C and spacious backyard with shady trees. Don’t wait or it will be gone! Please call and schedule your private showing today! Naples Manor Homes: Warm, open and spacious for entertaining in super convenient East Naples. Walking distance to elementary and high schools. Minutes by car to 5th Ave and beautiful beaches. Naples Manor Homes: Location, Location, Location. Grate starter home you don't want to miss it, only 5 miles from beach and downtown. Naples Manor Homes: Newly remodeled Naples Manor Home with open backyard. Naples Manor Homes: Ready for the new owner!!!!!! .. Totally renovated single family home in Naples Manor. 3 Bed Two new bathrooms, new wood cabinets, granite countertops, backyard with detached storage. Room for pool All beans have been replaced. Tile throughout. Enclosed immunization for termites has been performed. This Home is ideal for a first time home buyer. the LOWSET PRICE HOME IN THE AREA.